Do hard-landscaping maintenance now, but also some gentle and playful planting. June gardening would not be complete without the breath-taking beauty of camellias, as they add such life to the winter garden. Their flowering season starts in early autumn and goes right through to spring. 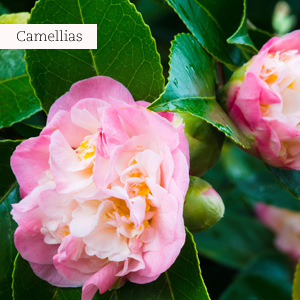 Be sure to water camellias very deeply once a week. Not too late! : If you have neglected to plant any spring-flowering bulbs, rush out for some freesias, which are very forgiving!. Plant them in hanging baskets and sprinkle some lobularia (alyssum) seed over the top. Keep the whole lot moist and you will soon see the bulbs growing through the young alyssum seedlings. Think of vygies: They grow all over the wilds in this region and turn spring into real veld magic. But by that time they have become scarce in nurseries as everybody wants them. So jump the gun and buy all kinds of vygies now (even if they are not in flower yet!) to plant in those often neglected and dry areas of the garden, like a pavement. They will be covered in satiny flowers from late winter. Quick sticks: Add a splash of instant colour to patios by adding a hanging basket of mixed winter annuals. Pansies, stocks, dianthus, petunia, lobelia and viola will work in a sunny spot, and primroses and primulas will do nicely in shady areas. Hot tip: To prevent hanging baskets from drying out too fast, add water-retention granules to the potting soil. If you have forgotten to buy it, break up old pieces of floral foam and mix it into the potting medium. Colour indoors: A great way to permanently liven up a dull room inside your home is to have a changing display of seasonal colour. Make sure to select long-flowering potted plants such as the bright cyclamen this winter. Group several together in a large container to disguise the individual pots and camouflage further with some dried florist moss as a finishing touch. Treat them as you would a bunch of flowers – once the flowers have begun to fade, just replace them with a new plant in flower. Cymbidiums orchids is another option to provide us with many months of joy and colour. After keeping them indoors from June to September, they can be planted in a protected area of the garden or on a sheltered patio. Feed them every third week with orchid fertiliser. Cymbidiums should not be kept in a draughty area, but they do require good air circulation around the plants. 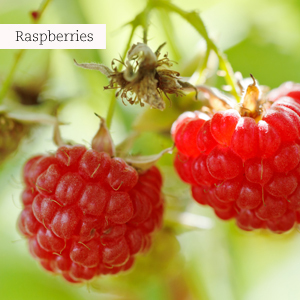 Food garden graft: Start preparing trenches for youngberries, loganberries and raspberries. Plant horseradish, asparagus, global artichokes and rhubarb. Liliums are tops: Plant them in the garden or in pots, mulch them well to protect them from the cold, keep the soil moist and you will have regal flowers in summer. 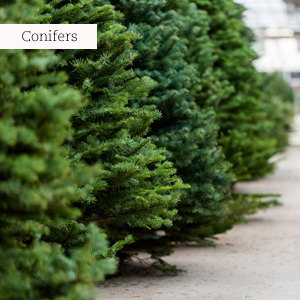 Conifers are the stalwarts of winter: As they are growing actively now, prune and shape those like the popular ‘Gold Crest’ to your hearts content. Also add more of the low-growing types like ‘Prince of Wales’ as a ground covering, or in containers to allow them to trail over the edges. A great combo: Combine the above-mentioned conifers with dwarf purple-red flaxes (Phormium) and the dwarf Nandina ‘Pygmaea’, which turns intensely bright red in winter. Create good silhouettes with pruning: Deciduous trees will stand bare, displaying their framework of branches perfectly, which will give you the opportunity to remove old and diseased growth, or low and overhanging branches, but also to enhance their natural shape. Spruce up your ways: Repair old pathways by lifting the pavers, levelling with sand, installing weed guard and repaving. Also lift your pebbled areas, clean up their spot and repack them so they look fresh again. Do not be tempted to Start trimming plants that have been burnt by the first frost, even if they beg for it. The damaged parts act as protection. 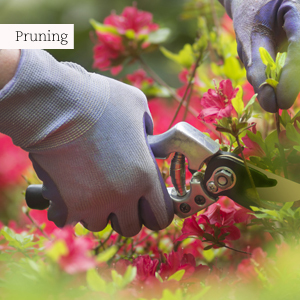 Pruning can encourage new growth if the weather suddenly turns mild again, which will be slapped doubly hard if it turns icy again. See the flowers growing: Deadhead and continue fertilising with a water-soluble fertiliser. Protect the frost sensitive plants like cinerarias. Many annual and perennial seedlings are still ready for planting this month, so go wild, especially with petunias. Watch out for aphids, especially on young flower buds. 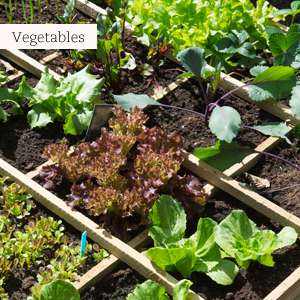 Food gardening gets a little leaner: Plant small numbers of lettuce at regular intervals – they tend to bolt in the heat. Sow late crops of cucumbers, squashes, pumpkins, maize and beans. Stake tomatoes (are these guys not lucky?) and runner beans. Harvest citrus and avocados and protect young subtropical fruit trees against frost. Do not Prune back spring-flowering shrubs like weigelias or Cape may (Spiraea) in winter as this removes all of next seasons’ flower buds. Put your faith in fynbos: Check out the nurseries for stunning new and old hybrids of proteas, leucospermums (pincushions) and leucadendrons, and really go ‘bos’ by planting as many as you can. They grow in pots too! Fynbos needs the rainy winter to establish well before summer. Tie everything down: Ensure that ties and stakes supporting young trees and standard roses are secure. Also pack away or tie down your garden furniture – the north-westerly wind can easily lift a cast iron garden chair and toss it into the neighbour’s yard! Stop flooding: Clear drains and gutters of old plant material that might clog them, causing severe flooding. 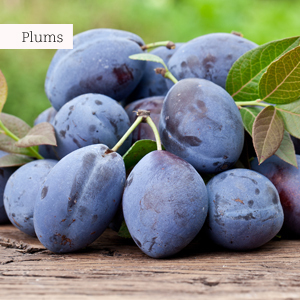 Start winter pruning: Prune vines, peach, plum and apricot trees at the end of June and spray with lime sulphur. Do not use last year’s supply as it will have lost its potency. Buy fresh stock and use only on plants that have become completely dormant. 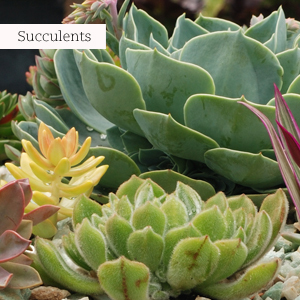 Fatties in hanging baskets: Plant lots of succulents in hanging baskets to adorn your braai lapa. Put upright-growing ones in the centre of the basket and fill in around the sides with trailing and spreading types. Go shopping today, as all the pretty crassulas, kalanchoes and sedums have their best foot forward now! While on the subject: Divide thick clumps of echeverias by cutting off the rosettes with a piece of stem intact, cleaning the old rotten leaves from their bases and replanting them into the garden or in pots. Keep them on the dry side for a few days until settled again. 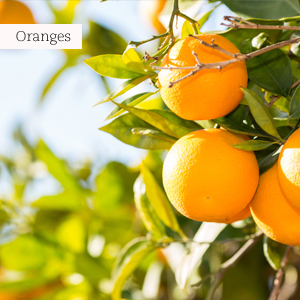 Feed your fruit: Fertilise citrus trees this month with 3:1:5 or 8:1:5. Additional foliar feeding with a water-soluble fertiliser for young lemon trees and those growing in pots is beneficial. Correct yellowing leaves with a microelement mixture. Fertilise papaws with 3:1:5. Water well before and afterwards. Keep mango trees dry until the end of July to encourage good flowering.